I think wearing aprons is somewhat of a dying art….I never understood why…they can be so beautiful and of course, quite functional. Perhaps in a time when so many people eat out and don’t cook or bake from scratch….getting those clothes covered in flour or grease…well it’s not much of a concern? I say we turn back the clocks…and start wearing beautifully made aprons…from rich colored fabrics that take us back to another time! 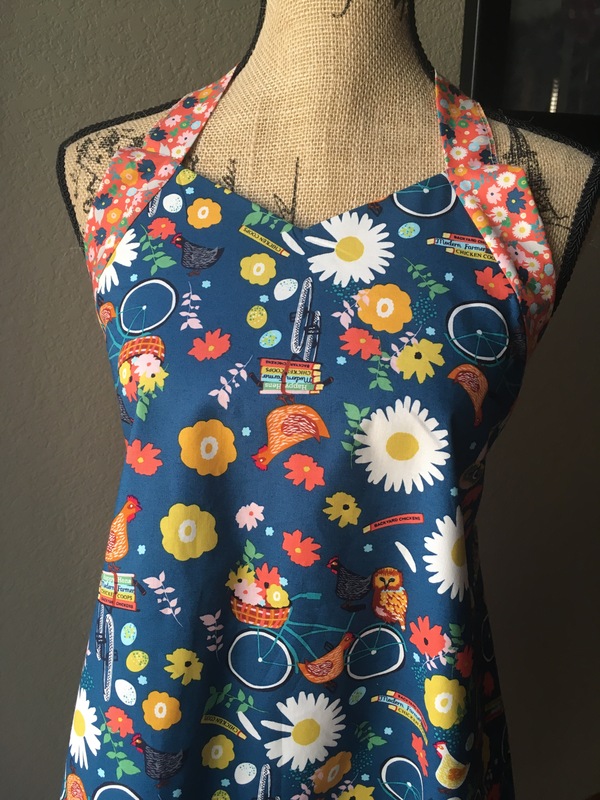 I say we bake a cake in celebration of Mom…and make an apron! Mother’s Day is right around the corner…now is the perfect time! 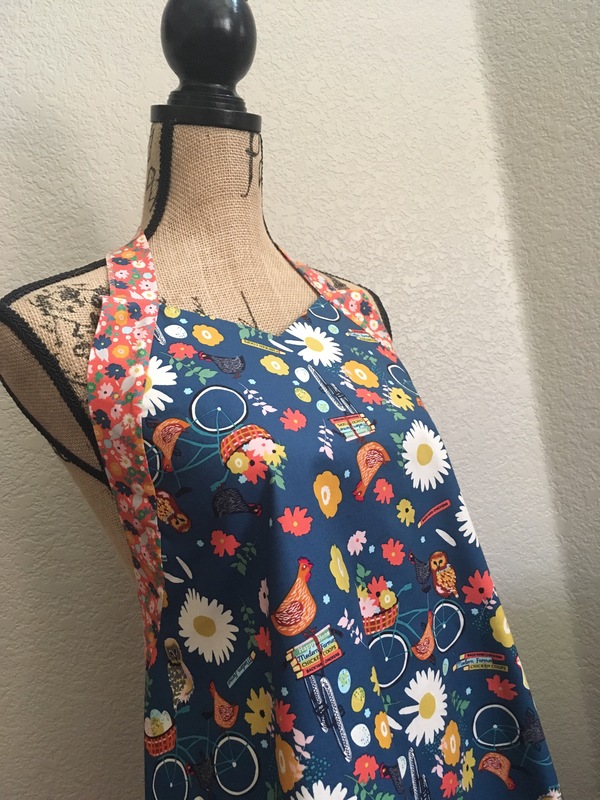 I bought a Butterick pattern from my local pattern/craft shop and was quite excited to whip up one of these aprons in a beautiful fabric called Garden Roost by Elizabeth Grubaugh over at Blend Fabrics! Her hens on daisies, bikes, eggs, flowers or owls on a perch come together to make a playful and eclectic collection with vibrant shades of bold blue, coral, green, gold, pink and turquoise. 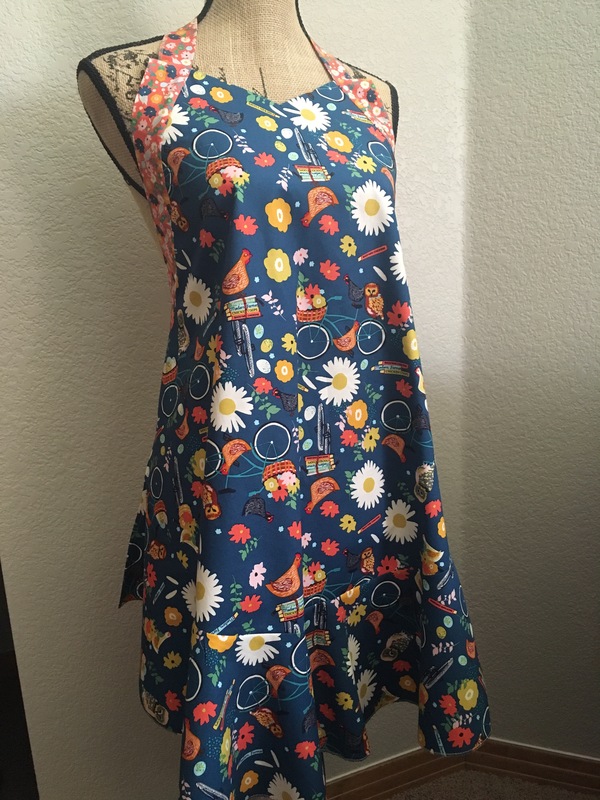 Perfect, I thought, for a playful apron…heading to Quilt Market 2017 in St Louis next month! If you happen to be going, enjoy seeing it at Blend’s booth! 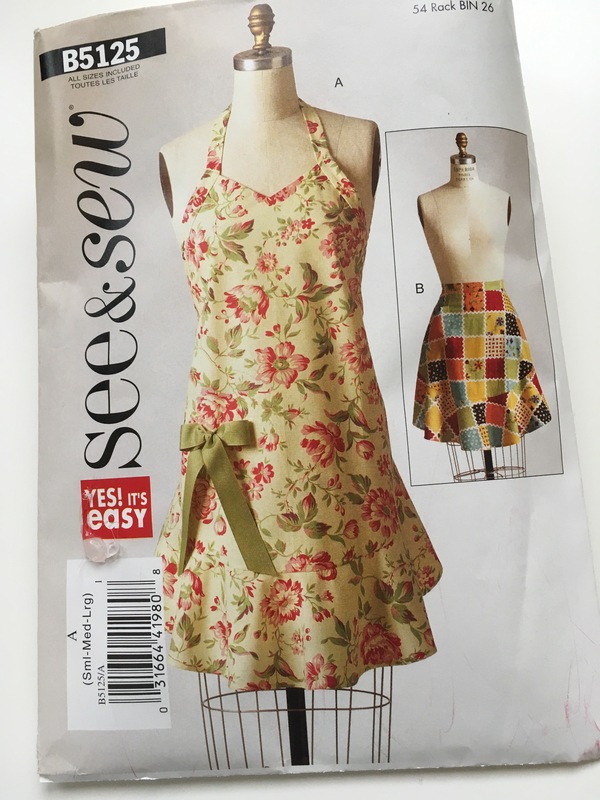 Otherwise, pick up this collection at your local quilt shop and the pattern! Fabric releases May 2017! Next Post Dreaming of Summer days….